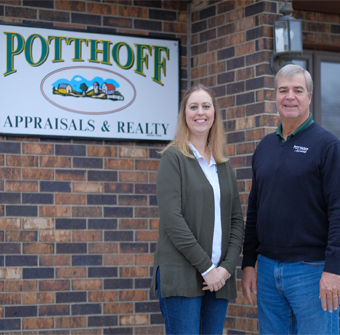 Potthoff Appraisals in Carroll provides services for all of Western Iowa for lending institutions, government agencies, estates, and individuals. Commercial Appraisals. The Carroll office is certified to appraise commercial properties. We are knowledgeable of the markets in West Central Iowa for commercial properties. Commercial appraisals include but are not limited to. Residential Appraisals. Residential properties are appraised at the discretion of this office. We are knowledgeable of the markets in Western Iowa, both large, and small rural towns, for residential properties. This includes single family, 2-4 multi-family, townhouse/condominium, and vacant lots.